Was There a Different Kind of Holocaust in Lithuania? Photo: Šiauliai Jews lined up before being taken to Kužiai to be shot, July, 1941. About 8,000 Jews from the Šiauliai ghetto were murdered in the Luponiai Forest near the village of Kužiai. 1. The Lithuanian Activist Front (LAF) was established by Lithuanian political refugees on November 17, 1940, in Berlin at the initiative of Lithuanian envoy to Nazi Germany Kazys Škirpa. The LAF in Berlin was constituted of Voldemarists and other Lithuanian right-wing radicals who fled Lithuania following the failed military coup in 1934. Škirpa was in charge and he worked with the Germany Foreign Ministry and the Abwehr, the military intelligence agency. The Nazi government supported and supplied the LAF members in Berlin. The LAF appeared in Lithuania on October 9, 1940, with a secret meeting of the nationalist underground in Kaunas which resolved to form a resistance organization throughout the country. The German military and intelligence agencies coordinated and edited these documents. The text was passed by reliable couriers to the underground centers repeatedly, on April 18 and on May 5, 8, 12 and 19. Two weeks before the outbreak of war they risked sending the same text, although it was shortened. A message of receipt was sent in the opposite direction. Thus the LAF chain of command in Berlin felt sure there could arise no misunderstandings and that the underground centers would know ho to carry on and what to do. The LAF carried out anti-Semitic activities of the same sort and corresponding to the official fascist propaganda of the time. The LAF incited anti-Semitic sentiments, comparing Jews to Bolsheviks, calling them equal in the evil which had befallen Lithuania. The LAF resistance organization was an intelligence agency with an operational network which covered Lithuania. Armed LAF units existed in all cities and towns and passed intelligence through the underground centers to German intelligence regarding the stationing and weapons capability of Red Army units in Lithuania. LAF preparations for the extermination of the Lithuanian Jewish community [appears to have begun] at the end of 1940 and continued into early 1941 when the preparation of Operation Barbarossa, the Nazi plan for invading the USSR, was complete. This is no coincidence: Barbarossa was the [Nazi] plan to exterminate the Jews of Eastern Europe. The LAF leadership in Berlin had to know or foresee the wholesale extermination of the Jews of Eastern Europe and [know the date of] the invasion of the USSR because they remained in very close communication with high-ranking Nazi German military and intelligence officials. 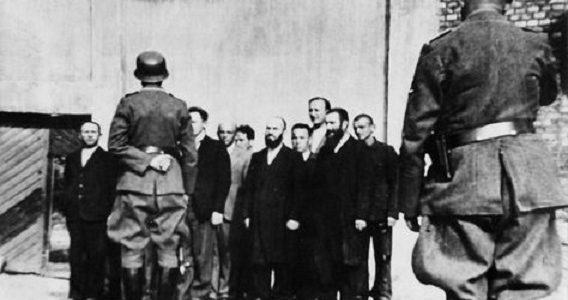 The Holocaust in Lithuania began June 22, 1941, before Nazi forces had occupied Lithuania completely. In places in Lithuania there was no German administration for over a month, but LAF united carried out the extermination of Jews in the towns and countryside. The Voldemarists worked hand-in-hand with the SS and the einsatzkommando[s]. The LAF was instrumental in the establishment of the Lithuania TDA [the Lithuanian National Labor Security battalion], in appointing its commanders and in engaging it for the shooting of Jews at the Seventh Fort in Kaunas. The battalion and the Lithuanian police aided the Haman flying squadron [mobile killing unit] in the extermination of entire Jewish communities in the countryside. The [LAF’s] Lithuanian Provisional Government inspired by Nazi Germany set up ghettos in the Lithuanian towns which equated to concentration camps in terms of mass murder methods. The Provisional Government and Lithuanian diplomats Kazys Škirpa, Kazys Lozoraitis and Petras Klimas, failing to understand global events and swimming where the current carried them wanted to declare war on Great Birtain and the United States, while the civilized world exerted all its forces to fighting Nazi Germany and the Axis powers. The Lithuanian government administration which was created was loyal to the Nazi occupational regime and enthusiastically served the Nazis, carrying out all orders and directives until 1943. The civilian administration did not carry out any armed resistance operations or sabotage against the Nazis while young people printed anti-Nazi proclamations, intellectuals sought to soften and humanize the Nazi occupation and people of goodwill rescued Jews. Lithuanian farms supported the Nazi war machine with food, lumber and so on. The factories produced products needed at the front, sewed warm clothes for the German troops and so on. Tens of thousands of able-bodied young people were sent as slave labor to Germany. In 1943 it became clear Nazi Germany and the Axis had lost the war. High-level Nazi officials from civilian and military institutions never made any promises to Škirpa regarding the restoration of Lithuanian independence. The Lithuanian aspiration for independence was dashed in Berlin in 1941 and the entire leadership of the LAF knew about that. Škirpa had no illusions about Lithuanian independence. The Germans attempted to blame Lithuanians for murdering Jews, whereas the Germans had been in charge the entire time except for the brief period of about one month following the invasion of the Soviet Union when some 40,000 Lithuanian Jews were murdered. As I understand it, Nazi Germany fought the Soviet Union until May 8, 1945. In a memorandum by Kazys Grinius, the [Catholic] prelate Mykolas Krupavičius and professor Jonas Pranas Aleksa to Theodor von Renteln dated November 9, 1942, there is only one sentence which mentions Jews at all: “The Lithuanian people with great anxiety is hearing of the mass eviction of Lithuanian and Polish farmers from their farms and homes. The Lithuanian people cannot approve such measures, just as they cannot approve of the measures applied to peaceful Jews of Lithuania.” I’d like to point out that in November of 1942 there were only 35,000 Jews left alive in Lithuania, or about 17% of the population before June 22,1941. What a heavenly blessing it is to those Jews, children, parents and grandparents (in Ukmergė, for example), who were, burned and hanged to learn they were not murdered as Jews but as Bolsheviks. I believe after this sort of admission they will be resurrected as a Jewish Jesus who was accused but innocent. Krupavičius surely knew of this. There were Lithuanians with corrupt morals who helped the Nazis murder and rob the Jews, but these included people such as Škirpa, Ambrazevičius-Brazaitis, Prapuolenis, Damušis, Girnius, Maceina, Impulevičius, Noreika, Krikštaponis and many other criminals. They were morally corrupted by the twin bacilii of anti-Semitism and Nazi ideology, and the desire to profit at the expense of the Jews murdered. There were truly few of them living in occupied Lithuania, from 0.5% to 1%.